Christmas is only a couple of weeks away and I know that the festive party season is in full swing so I thought that today I would talk to you guys about a brand that do some great outfits that would be amazing for the party season! Launched in 2003, Dobell is the leading online formal wear store for men and boys. 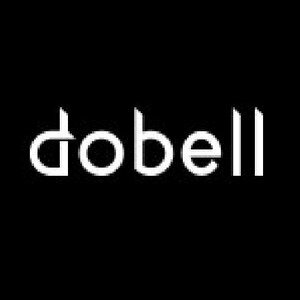 Known for their amazing quality, great prices and amazing customer service, Dobell sell some amazing suits! Dobell is known for offering suits up to 50% cheaper than the leading high street retailers and offering suits from brands such as Tomny Hilfiger, Noose & Monkey and many more, Dobell is worth having a look at! Dobell offer some great suits in every colour possible. They offer elegant suits for Christmas, classic suits made for interviews and quirky suits meant for that event where you need to stand out from the crowd. I love the amount of personality that you can exude. They even stock suits with patterns of holly/snowmen over which I think is made for the office christmas party! Dobell got in touch with me a while ago and asked if I wanted to review one of their suits and I happily said yes as you never know when you need suit and after some uhming and ahhing I chose the Charcoal Suit. This suit came as a 2 piece and I absolutely loved the colour of it. It was dark but not too dark so it could be worn smart or a bit more casually. I love the little detailing that is on the suit as well. I decided to wear a pink shirt against as I was going to a bloggers event so I didn't want to look too smart. The pink went with the charcoal really well and I just loved the whole outfit as a whole. The only thing that I wasn't keen on was the stitching in the pockets as it meant that I couldn't really use the pockets but I definitely will be wearing this for things such as university interviews and so on. Have you bought anything from Dobell? Do you have a signature suit for anything special? Let me know down below! 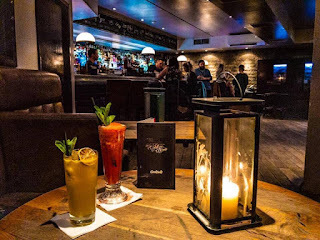 I hope that you come back and read my next post! This review was in collaboration with Dobell. All opinions are my own.